Bengaluru, April 6: With the Kolkata Knight Riders (KKR) needing 54 off the last three overs, it looked like the Royal Challengers Bangalore (RCB) finally had a reason to smile. But Andre Russell had other ideas. After warming up in the 18th over, he launched into Tim Southee in the 19th as he picked four sixes and a boundary. The rest as they say is history with KKR chasing down RCB's score of 205 with five balls to spare. Speaking after the game on Friday, Russell kept it simple and said that he just trusts his hitting prowess. He added that no ground is big for him and he is in a good space thanks to the support of his teammates. 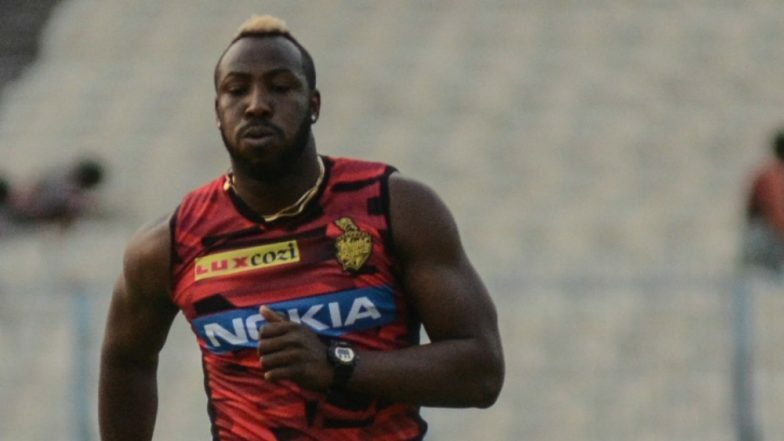 Andre Russell's 13-Ball 48 Powers KKR to Victory, Hands 5th Defeat to RCB in IPL 2019, Twitter Goes Berserk with Memes. "The support is good from the boys and I am in a good space so that I can express myself. No ground is big enough for me I guess, I just trust my power. Hand-eye coordination is the key (for low full tosses) as they aren't easy to hit. I try short arm jabs as extending the arms can put you in trouble. Can't explain much, rather show that on the field," he said. KKR needed 68 off 26 balls when he came out to bat and skipper Dinesh Karthik asked him to settle down by playing out a few balls. And he did just that as he scored just one run off the first 4 balls that he faced from the RCB bowlers. "I was confident when I went out to bat. DK was telling me to take a few balls to see how the pitch is behaving. I was watching in the dugout on TV and had a fair idea. When you need 68 off 20-odd balls, it doesn't happen everyday. Need to put your body on the line."